Why We Miss Creative Ideas That Are Right Under Our Noses In crowdsourcing, a big challenge is not with coming up with creative ideas, but identifying creative ideas. A bias makes us bad at spotting creative ideas when they come from those working around us. In crowdsourcing, a big challenge is not with coming up with creative ideas, but identifying creative ideas. A bias makes us bad at spotting creative ideas when they come from those working around us. There are times when I've thought about singing during the program or maybe telling a bad joke. I'm getting the feeling this morning that our producer and editor, Rachel Ward and Kenya Young, would shoot me down. You ever have this experience? Pitch what you think is a brilliantly creative idea and your boss or manager says nope. 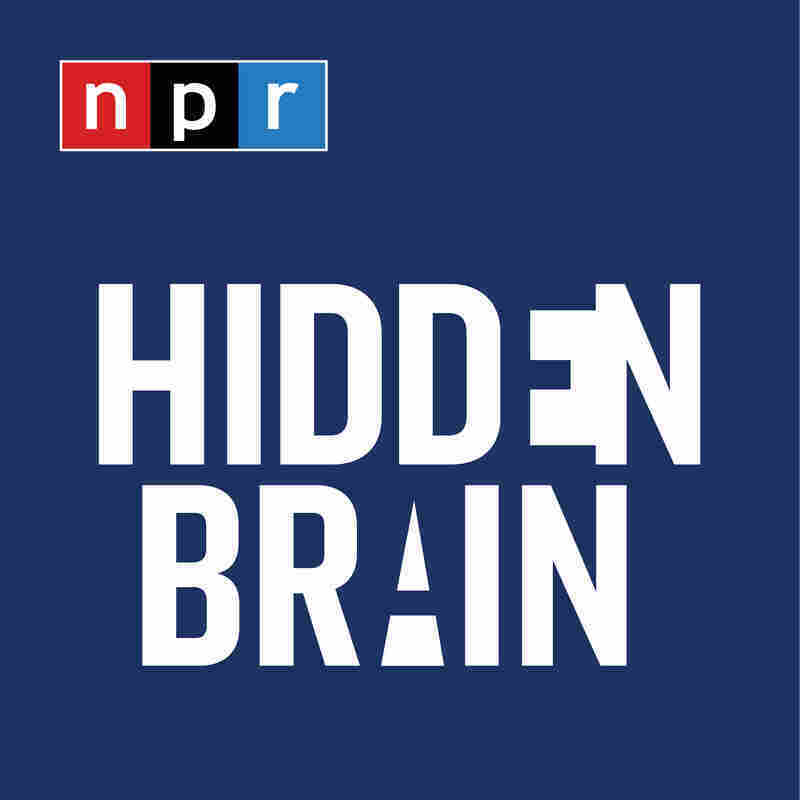 If so, it might be worth listening to Steve Inskeep's conversation with NPR's social science correspondent Shankar Vedantam. Shankar's found some research explaining why good ideas get rejected. INSKEEP: Okay. So what's the research say? VEDANTAM: Well, the research seems to suggest that part of the reason we miss seeing creative ideas that are right under our nose is because the ideas are right under our nose. There's this new research that looks at how people evaluate creativity. Jennifer Mueller at the University of San Diego and her colleagues, Cheryl Waxslack(ph) and Vishwin Athenkrisnan(ph), find that where the idea comes from appears to influence whether people think it's creative. So in this experiment they ran, they told volunteers about a new shoe that uses nano technology to reduce blisters. They told some volunteers that this idea was developed far away and they told other volunteers this idea was developed nearby. Here's Mueller. JENNIFER MUELLER: We found that when we told people the idea was generated far away, they rated the idea as significantly more creative than when the idea was generated nearby. VEDANTAM: At a certain level, that doesn't make sense, though, does it? INSKEEP: Okay. So same idea, it's all about the source. We're talking about how a manager, a boss, would evaluate an idea that's brought to them. VEDANTAM: Exactly. So it seems to happen, Steve, because our minds are prone to mixing these two things up. When things are nearby, they're concrete and you can see the details of the things. On the other hand, when things are far away, they're much more abstract. So thinking about things that are near and far puts us in different mental states. When you think about things nearby, you see the details, and so when a creative idea comes along, the first thing you ask is, can it work? Now, most creative ideas are risky and the risks are obvious when you look at the details, so when you think about it with this detail-oriented mindset, you're more likely to shoot the idea down. On the other hand, when you're thinking about things that are far away, you're in a more abstract frame of mind and so the first question you ask is not will this work; you're more open to seeing the creative possibilities. INSKEEP: So it's not just that as a manager, that the manager disrespects the employees. The manager is just familiar with the employees, he or she works with the employees every day, and they're thinking about the details of it. Whereas somebody comes from the outside, they can think big. VEDANTAM: Exactly. So obviously it has to be said that some ideas are not creative and the deserve to be shot down, but the reason managers often are shooting down ideas that might be creative that come from subordinates is not because they're necessarily bad managers, but they might be in this different mindset. Mueller reminded me of this famous rejection letter that the writer George Orwell got. Famous publisher said, look, Americans are just not interested in political stories about animals. "Animal Farm," of course, went on to become this classic book. Here's Mueller again. MUELLER: It's hard to get executives to say creativity is stupid, even though they may actually feel that way and very strongly. Very rarely will CEOs say renovation's horrible, why would we ever do that? INSKEEP: So wait a minute. I guess then, if I'm an employee trying to sell an idea to my manager, I should call somebody way outside the company, some stranger and tell them the idea, have them walk in the door with it, I gather. VEDANTAM: Well, that's right. So here's the challenge, Steve. So the people who make decisions in organizations and government, they tend to be the people with the most experience. In fact, that's why those people tend to be in charge. And having that experience is very valuable because it helps you spot these big mistakes. What this research is suggesting is that the experience also comes at a price. It makes it hard to recognize out of the box possibilities. So Mueller thinks that just before you pitch your boss on a big idea, it might be useful to get them in a more abstract frame of mind. I'm actually going to do what you just suggested. The next time I come up with a creative idea, I'm going to call it in on the phone and say, I'm calling from Antarctica with this fantastic idea. INSKEEP: So Shankar, when you told your editor about your idea to do this story, what did she say? VEDANTAM: I made sure to do it on the phone, Steve. INSKEEP: That's NPR's Shankar Vedantam. You can follow him on Twitter @HiddenBrain. You can also follow this program @MorningEdition and @NPRInskeep.